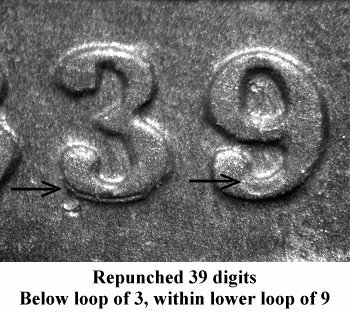 Comments: Obverse 1.2 has been polished resulting in the elimination of repunching at Star 11. 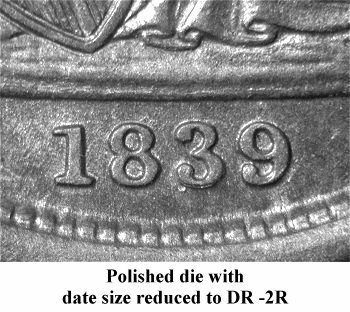 The Denticle Ruler measurement has changed to DR -2R due to the reduction in size of the 1 digit. 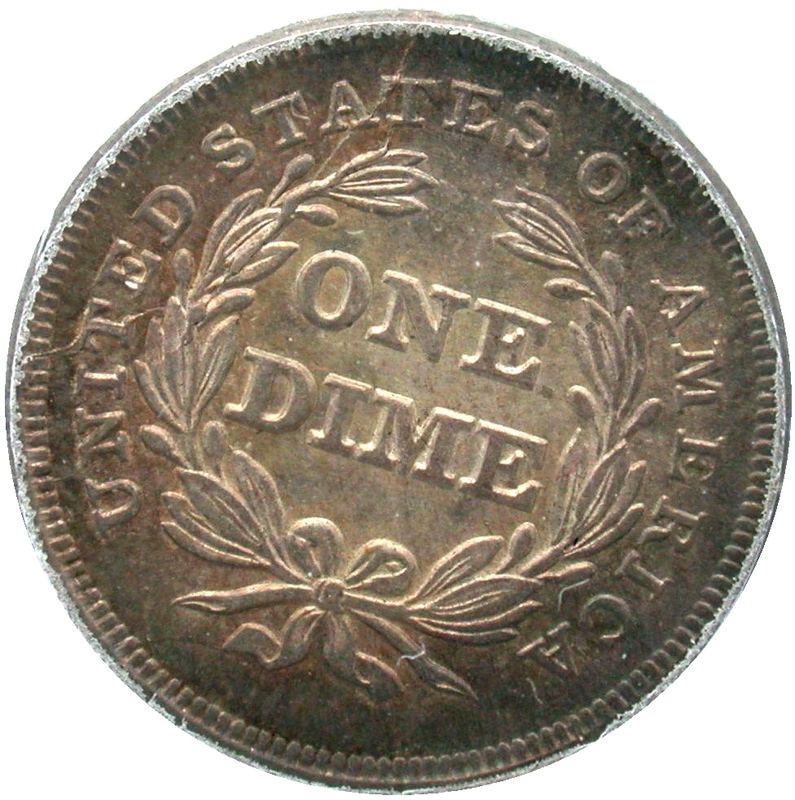 A third die pairing occurs between Obverse 1.2 and an additional left over reverse from 1838 (H). 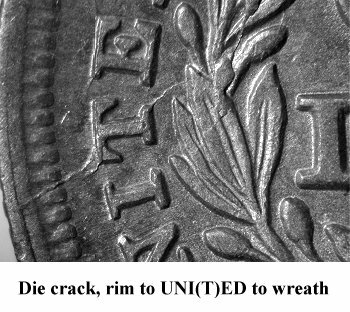 1839 Reverse C is very easy to identify due to the late stages of a severe die crack from the rim, down through ST(AT)ES and into the wreath with an exit point at UNI(T)ED back to the rim. 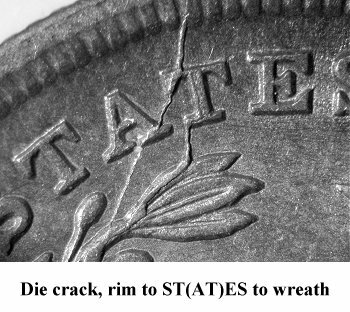 A second severe internal die crack from the left foot of STA(T)ES down through the wreath is also noted. 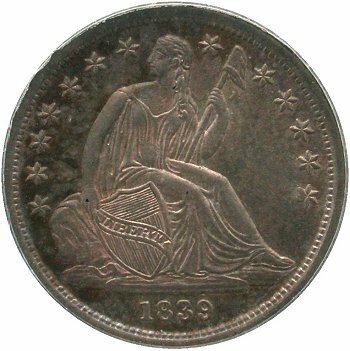 Once again, the reverse is rotated left 18 degrees. It would be exciting to locate a later die state of Reverse C with a partial or full cud comprised of the area between the rim and heavy die cracks.